Schwarz is driving along in his Kuliner, remembering Zett sending him into the river with such great power. Schwarz believes he needs something to help him get on equal footing. Drill Ressha perhaps? At Castle Terminal, Nero is introducing his trusted right-hand, Bottle Shadow. Marchioness Mork says everyone in the Shadow Line knows of Bottle Shadow’s deeds. She is happy that Nero appears to be getting serious, especially in eliminating Zalam and Schwarz. 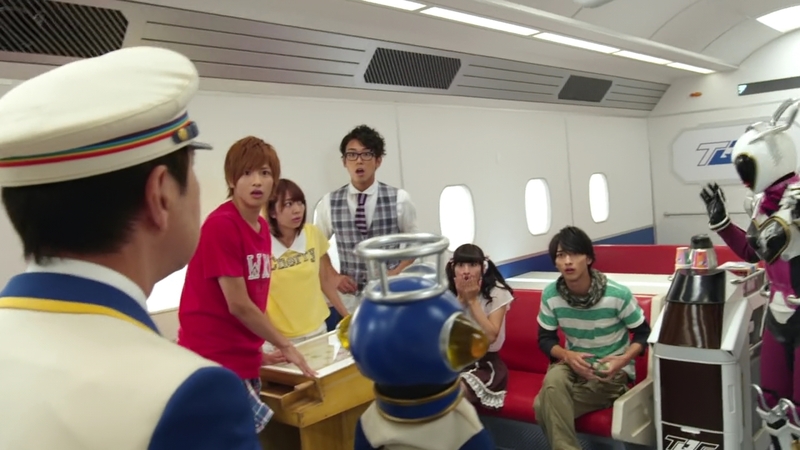 On the Resshas, Ticket and Conductor hurry into the main car to tell the ToQgers to quickly help Akira who is fighting Bottle Shadow. Akira tells Bottle Shadow only he will decide where he dies. Bottle Shadow unleashes red and white beams from each of his bottle heads and knocks Akira down. But suddenly, Schwarz appears and fires at Bottle Shadow who is excited to see the two traitors together for him to get rid of. Schwarz and Bottle Shadow face off as the ToQgers arrive, unsure of why they are fighting. They charge in, but Bottle Shadow retreats. Schwarz tells Akira he wants to talk. He asks why Zalam left the Shadow Line, but Akira will not say. Schwarz says he had the perfect train army to fulfill his ambitions, but the Emperor has power greater than he imagined. He has and will go through the mud just to get revenge against the Emperor, which is why he is here, bowing his head, asking for their help. Akira conferences with the ToQgers telling them Schwarz is asking for a ceasefire so they can fight their mutual enemy, Zett. 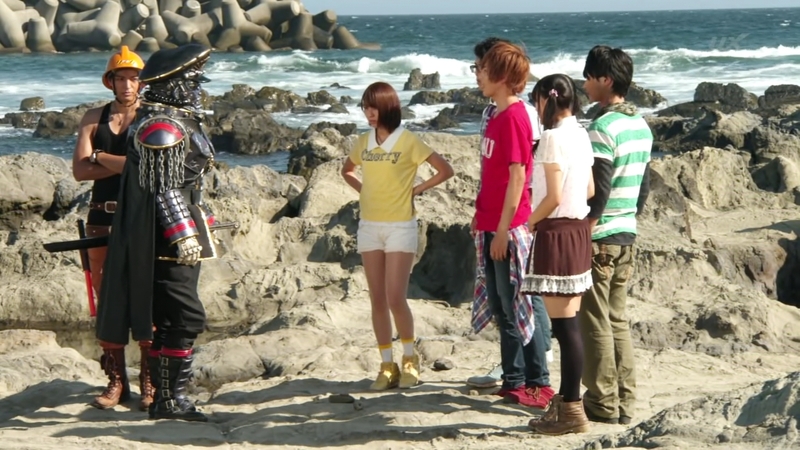 The ToQgers are not ready to so quickly trust him. But Right says why not? They all saw Zett try to kill him. The others still think it is not the best idea to trust the guy, so Right says he will check him out himself. Right runs to Schwarz and invites him to lunch. The Castle finds out about Schwarz teaming up with the Rainbow Line. Zett thinks this is very interesting, but Marchioness Mork orders Baron Nero to just finish the two traitors off at once. Right digs into his fresh seafood lunch. Schwarz will not have any, thank you. The other sit at a nearby table, wondering what Right is up to. Right asks Schwarz why he wants to defeat Zett so badly. Schwarz says he realized there is a limit to fighting alone. 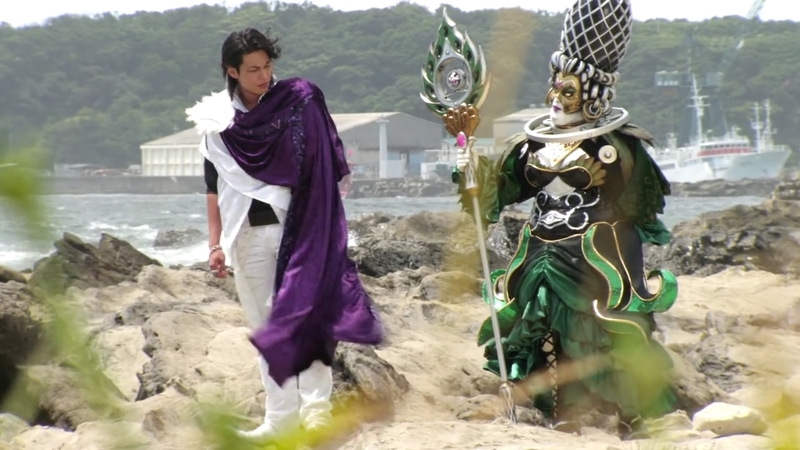 And now, he wants to defeat Zett for revenge, even if it means putting aside his pride and surrendering to the ToQgers. The others think about what for and Mio remembers maybe he wants to get revenge for Zett killing Gritta. Okay Right says, he doesn’t think Schwarz would lie about this part so he trusts him. Schwarz says he must answer to that trust and expects to do everything he can in the next fight. Back by the water, Schwarz explains how to avoid the two beams from Bottle Shadow. They will split up into three teams and attack from multiple directions while getting close. Once they’ve worn him down, Right will come in to finish Bottle Shadow for good. Akira says this information is correct and Schwarz’s plan makes sense, but… Schwarz gives them more info. 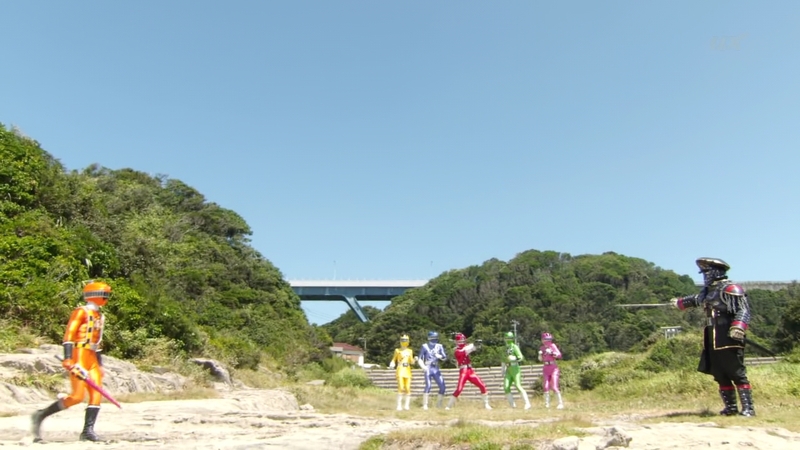 The ToQgers must be ready to avoid the beams as soon as Bottle Shadow finishes saying his nonsense before firing. Right and Schwarz shake hands. Akira reminds Schwarz to not do any funny business. He’ll be watching him. Tokacchi and Mio run toward Bottle Shadow first, but they avoid the blue beam and manage to get a hit on the Creep. Hikari and Kagura are next and avoid the white beam to fire at Bottle Shadow. Now it’s Akira and Schwarz’s turn. Akira inserts Drill Ressha in his Yudou Breaker, but suddenly, Bottle Shadow unleashes a rose beam. Schwarz steps behind Akira and uses him as a shield as Bottle Shadow fires and the rose beams hits all the ToQgers, including Right who was waiting for his opening. Schwarz does one swipe of his sword and sends Bottle Shadow flying. 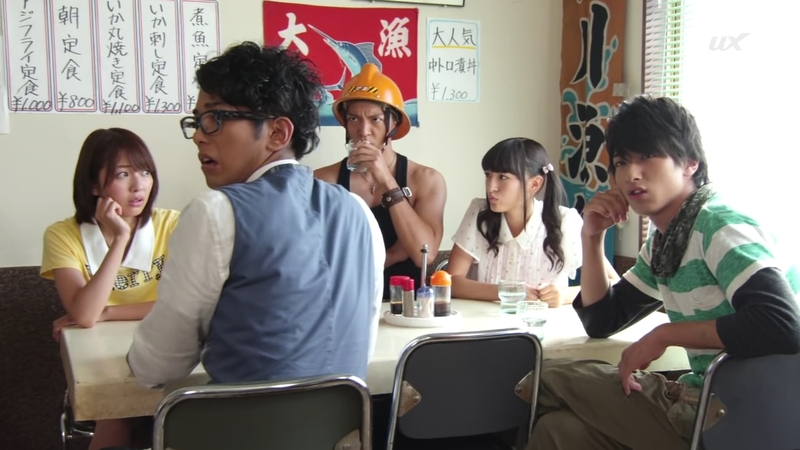 He picks up Drill Ressha and Akira realizes it is what Schwarz wanted all along. Schwarz slashes at Akira’s chest and sends him flying toward the others. Right won’t have any of this betrayal so he charges toward Schwarz. They battle as Akira and Marchioness Mork have arrived and watch from behind a boulder. 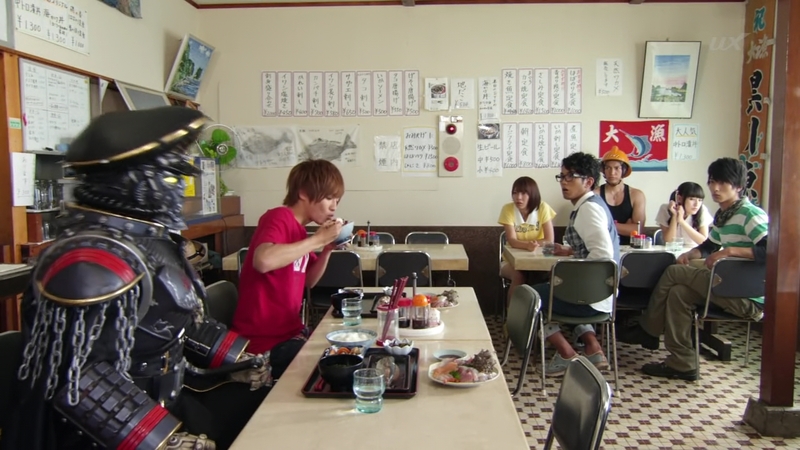 Right pulls out Hyper Ressha, but Schwarz knocks it away, right to Hikari’s feet. Bottle Shadow arrives and Hikari decides to use Hyper Ressha to become Hyper ToQ-4. He summons Daikaiten Cannon and the others join him to deliver a Hyper Four Linkup Crash to finish Bottle Shadow’s first life for good. 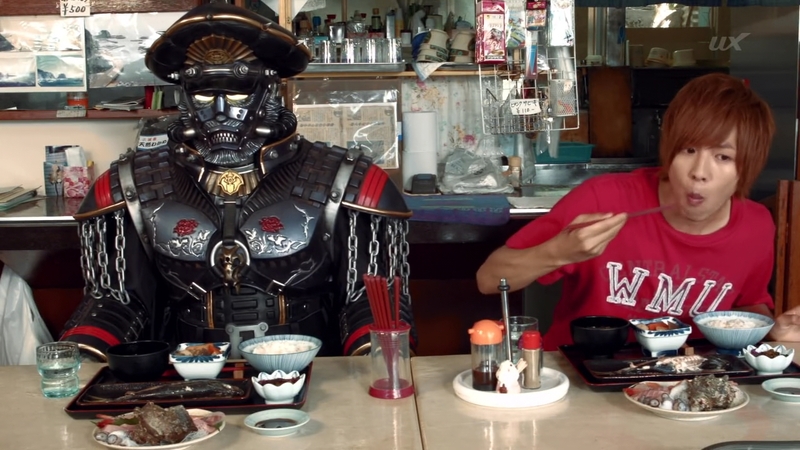 The Shadow kaijin embiggens as Schwarz also jumps into his Kuliner Robo. 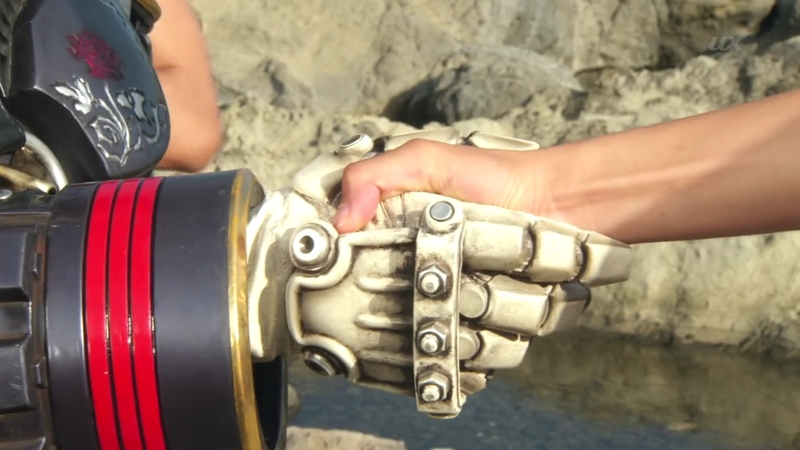 But this time, he can attach Drill Ressha to his arm. 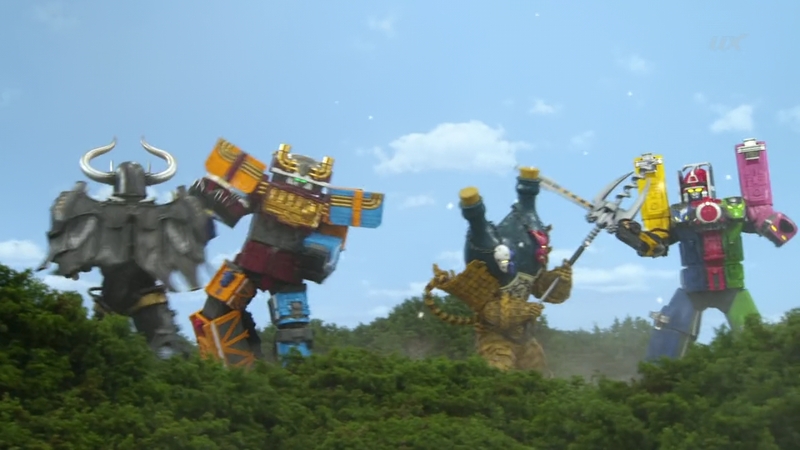 Right summons Diesel-tachi while the others tell Akira to rest as they hop into ToQ-Oh. Right wants to face Schwarz and tells the others to deal with Bottle Shadow. 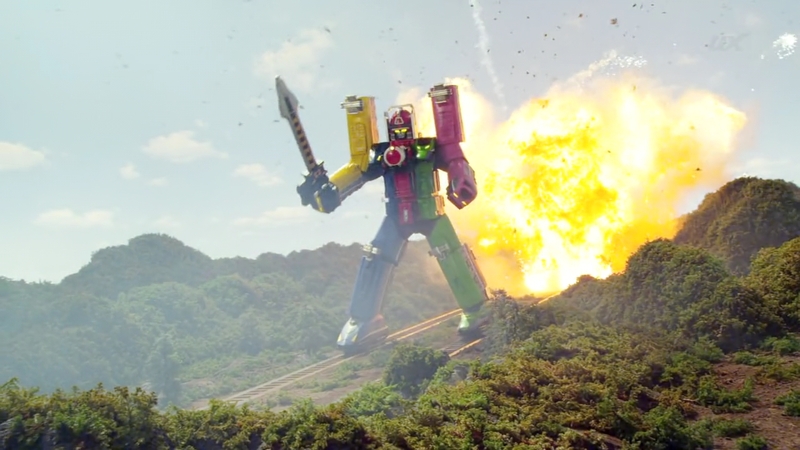 Schwarz uses Drill Ressha and is pleased with its power against Right in Diesel-Oh. 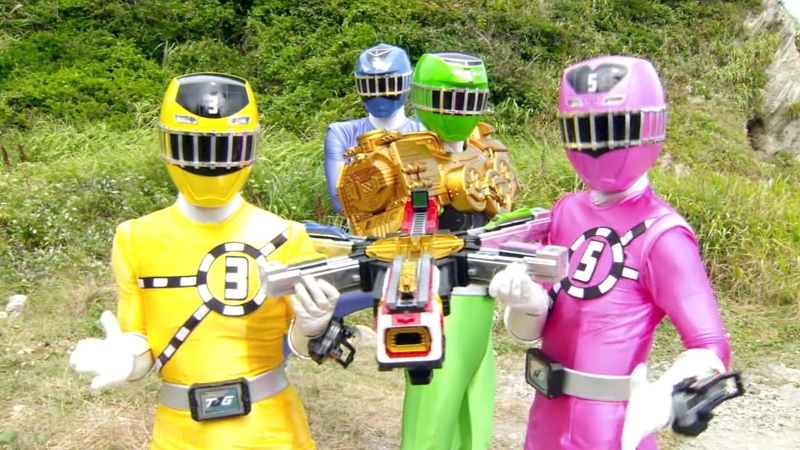 Meanwhile, Tokacchi summons Shield Ressha to block Bottle Shadow’s beams and send their own beams his way. Mio and Tokacchi initiate a punch and a kick. 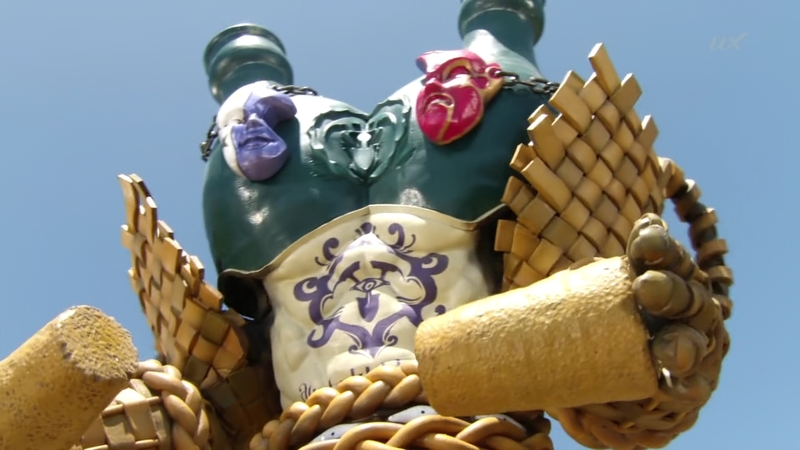 And finally, Kagura says since they haven’t used it in a while, they will deliver a Fumikiriken Ressha Slash to finish Bottle Shadow off for good. Right meanwhile delivers a Diesel-Oh Spin Kick, but Schwarz uses Drill Ressha to counter it. He says since he now has Drill Kuliner, there is no point in dragging this out. Schwarz drills into the ground and leaves. Zett is impressed by the sparkling of everyone involved. On his Kuliner, Schwarz vows to bring Lady Gritta peace. On the Resshas, Right bows to everyone, apologizing since it is his fault for trusting Schwarz in the first place. 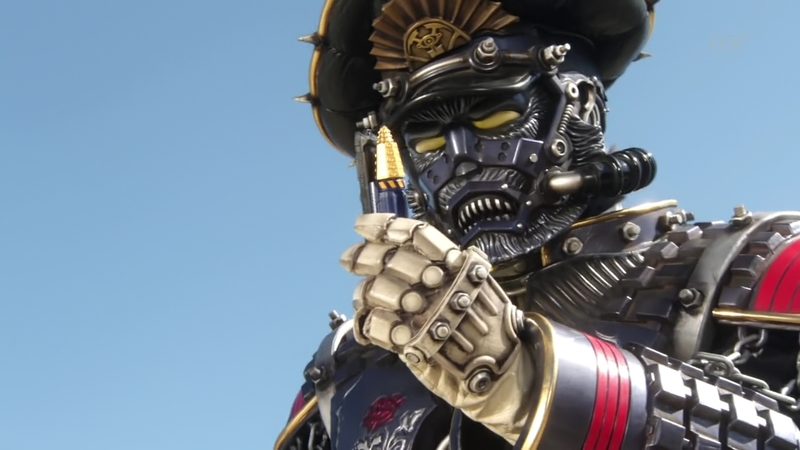 The others say it is okay, but now they cannot go into Shadow Towns without Drill Ressha. Akira says that’s also fine, they will just take back what was taken from them. This was a great episode to officially welcome back Schwarz. 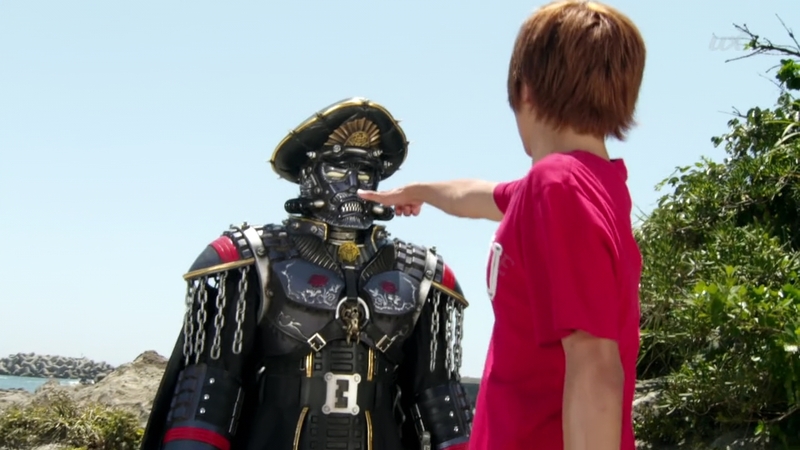 It would’ve been even better if they had done some faux shock in Schwarz actually just using them for Drill Ressha. 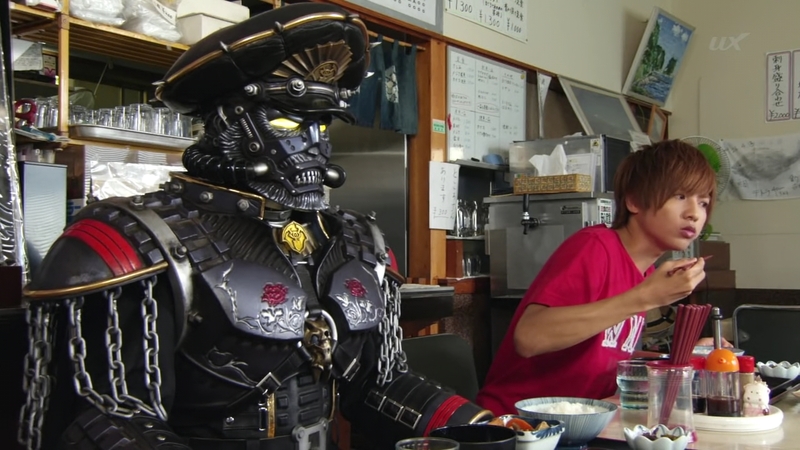 But still, it was a great way for Schwarz to get back in the picture as well as delay the ToQgers going into Shadow Towns for a while. It was good to again see Right is not always right. Right? 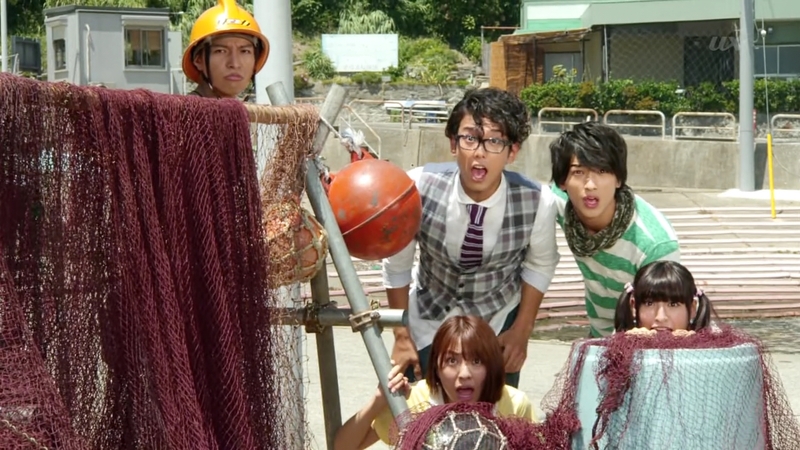 But see the ToQgers come together when they need to. They also did great in again using Akira’s connection as member of the villain faction to bring a fresh dynamic to how the heroes deal with their enemies. We haven’t seen some scenic locations lately, so it was great to see them in a seaside town. I’ve been missing those countryside locations. Overall another good episode. But next episode… WIGS! Yes! Maybe. Maybe he also appreciates her sacrifice for him.